A large number of cabbies converged on the Halifax Forum Monday night for an emergency meeting on a city proposal that would dramatically increase the number of taxis on the road. This idea, which appeals to many taxi passengers, is producing opposition in some unexpected places. Now in his 54th year of driving a cab in Halifax, Al Deslaurier is tired of going backwards. The veteran cabbie has seen a world of change in the industry since he started driving in 1965, but he says the future is looking pretty bleak. On a good day, he says he'll clear about $100 after expenses for a 10-hour shift. More cabs on the road means even longer days, which is pretty much inconceivable to the driver. It’s just one of myriad complaints about taxi service noted in a sweeping report approved by the city's transportation standing committee last week. Along with a host of recommendations, the committee greenlighted the idea of granting 600 more taxi licences - a 60 per cent increase from the current 1,000. “The market share is simply not there to support a 60-per-cent increase,” said Dave Buffett, the president of the Halifax Taxi Association. Monday night's emergency information session is a chance for cabbies to plot strategy, including the possibility of a lawsuit -- or even a strike. “But if council wants to railroad through an increase of 60 per cent on the cabs, that's a crisis, and we’re considering legal action and probably joining a labour union,” Buffett said. Crissy McDow, the owner of an all-female shuttle service who raised the ire of taxi drivers by arguing she should jump the queue to get a licence isn't happy, either. She didn’t go to Monday’s meeting and was afraid she wouldn’t be welcome. She says 600 new licences is too high for her, too. “The magic number? I'm not quite sure. But let the city release them in increments maybe, just to see,” McDow said. For Deslaurier, an increase of 600 more drivers means tough slogging for him. “It'll be just work and sleep - that's the only thing I can see,” he said. So, as Deslaurier grinds out his 10-hour days, colleagues are working on ways to help him keep it. It’s not ideal, but at least he won't be going backwards and he hopes it won’t get so bad he has sleep in his taxi in between working. 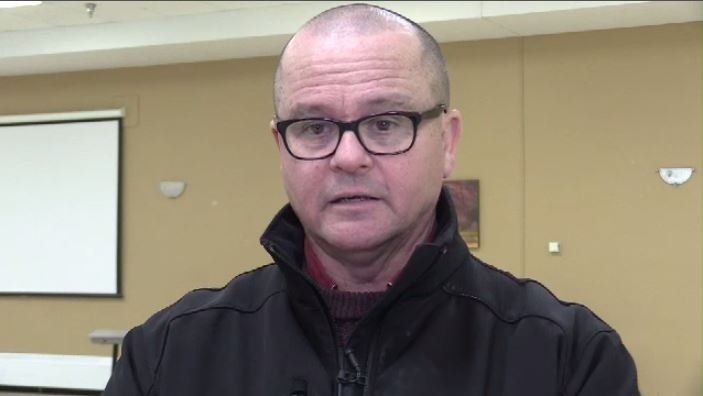 “If council wants to railroad through an increase of 60 per cent on the cabs, that's a crisis, and we’re considering legal action and probably joining a labour union,” said Dave Buffett, the president of the Halifax Taxi Association.